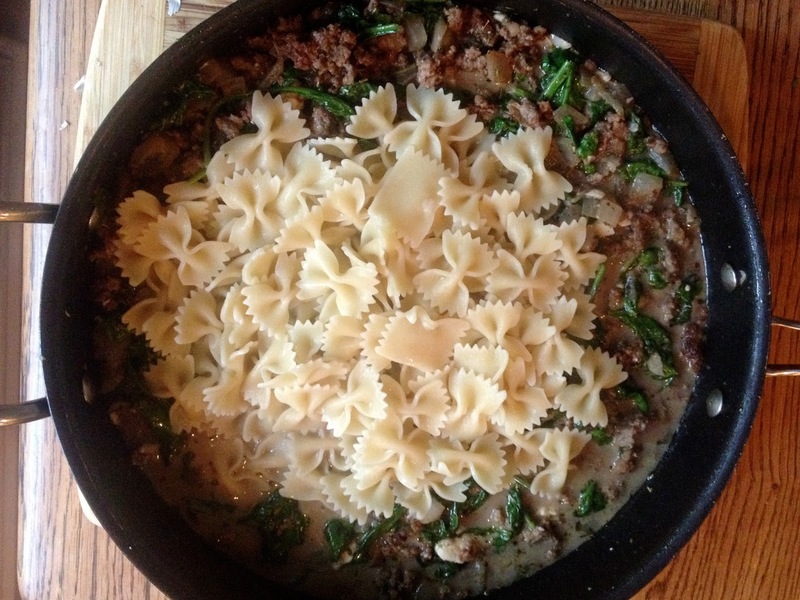 This meal is one of our family's absolute favorite pasta dishes. Well, more like mine and B Daddy's favorite pasta dish. Like I've said before, my kids have abominable taste in food. Their opinions will carry weight when they start liking pizza consistently and stop dipping their carrot sticks in ketchup. It's ready in under 30 minutes, uses mostly staple ingredients and is a winner whatever the season. Which means it's definitely in the Master Meal rotation. (If you struggle with meal planning for your family, check out this meal planning post...) It's also one of a handful of meals I take when people are sick or have just had a baby. If you've been the recipient of a meal calendar lately, you'll understand how nice it is to have something that's not a chicken dish brought to you. Ready to cook? Let's get this party started. Start by browning your pork sausage and a chopped onion in a hot skillet (a huge hot skillet or dutch oven to be precise.) Once the onion is translucent, add the minced garlic and balsamic vinegar. 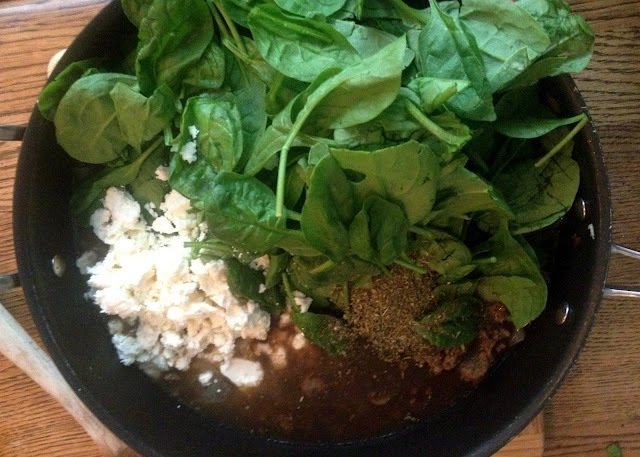 When your house starts smelling like a restaurant add the feta, dried herbs, chicken broth and spinach. Look at all that spinach!! This recipe suffers not from the addition of way too much spinach. This time I used a 5oz bag - but in the past I've used the big 9-11oz bags and it is just as delicious if not more so. 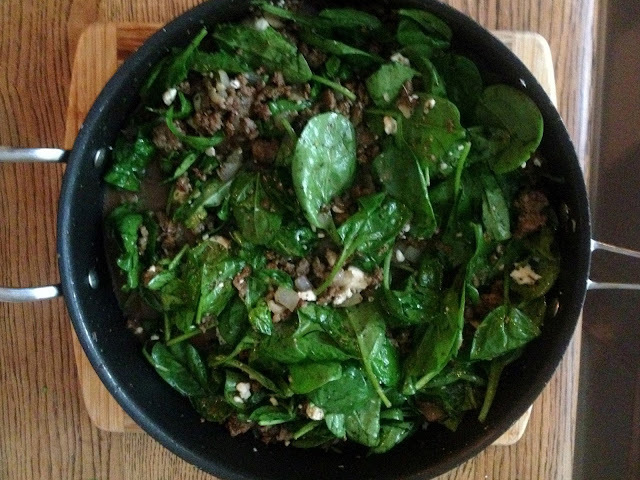 More spinach = you are making health food. Once the spinach starts to wilt, add the cooked pasta. You will be patting yourself on the back for choosing your largest skillet about now. Way to go you. Serve to aforementioned ungrateful children with a side of crusty bread to soak up all the goodness of that sauce. Your spouse will be thrilled, so never you mind the children. 2. 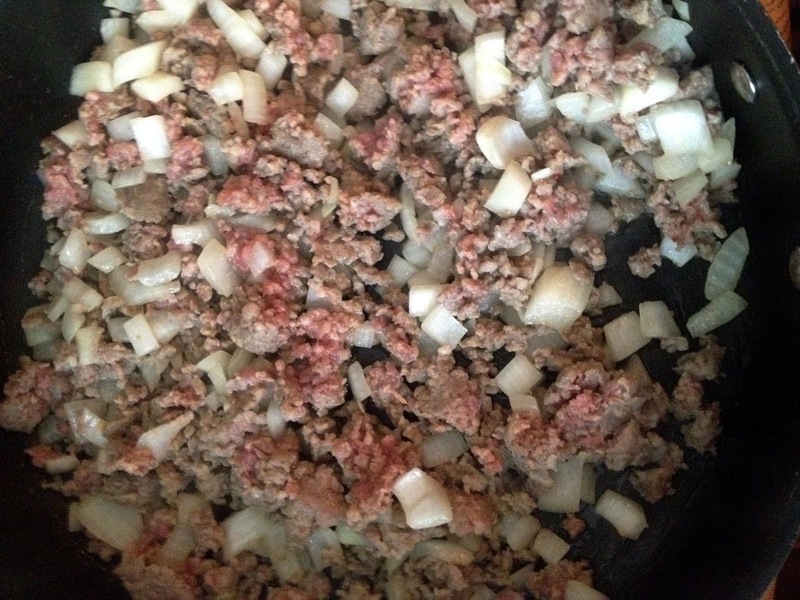 Cook sausage and onion together in a LARGE skillet until onion is translucent. 4. Add chicken broth, spinach, dried herbs and feta cheese. 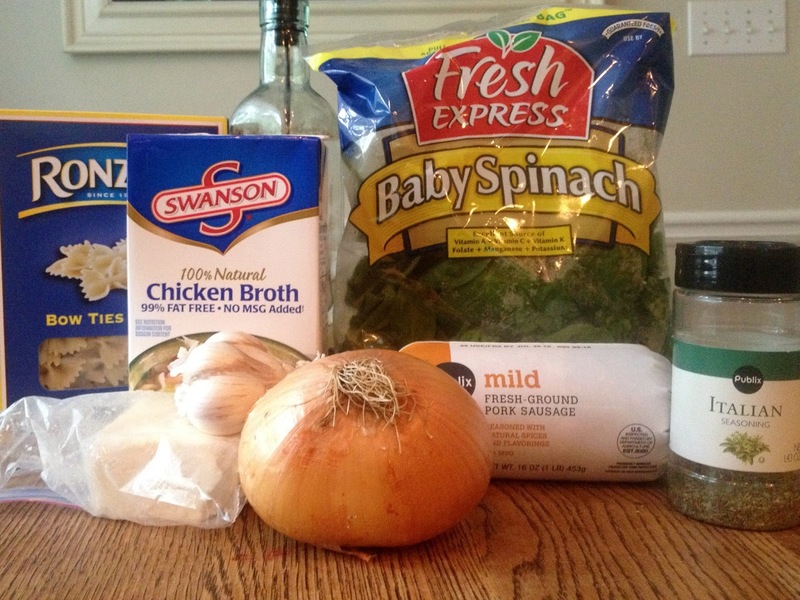 Cook until spinach wilts. 5. Drain pasta, add to skillet and warm through. *This dish reheats like a dream and will keep (and get yummier by the day) 2-3 days in the fridge. Just made the Crowd Pleaser tonight for dinner and it was very delicious. Thanks for sharing! Yay!! So glad you enjoyed it. Finally got around to making this tonight. It's delicious! Love the tang of the balsamic vinegar. (Well, as you mentioned...Michael and I loved it...the girls weren't too sure. These are the same girls that have a food repertoire of approximately 6 things.) We're definitely adding this to the regular dinner menu! Awesome! We love it because it's so simple but it somehow feels fancy. Thanks for reading! !